Growing up in Kenya’s rural South, Keiyo, Alex Kiplimo Chebotibin was always a dreamer. His mind would dream countless ventures regardless of how farfetched they could be. But the young entrepreneur gave his dreams wings and built a helicopter out of nothing. The rural Keiyo is limited to the few who could garner high grades to warrant a university degree in major universities such as Moi University and University of Nairobi built around city life. Thus, for Kiplimo Chebotibin, who neither had the attentive mind for class nor the monetary aid to further his education, dropped out of school. He didn’t finish his primary education. He began his work as a casual labourer under the apprenticeship of his grandfather. He embraced his blacksmith’s trade by first learning how to make farm equipment. With time, from hoes to arrows, you name it, he could make it. 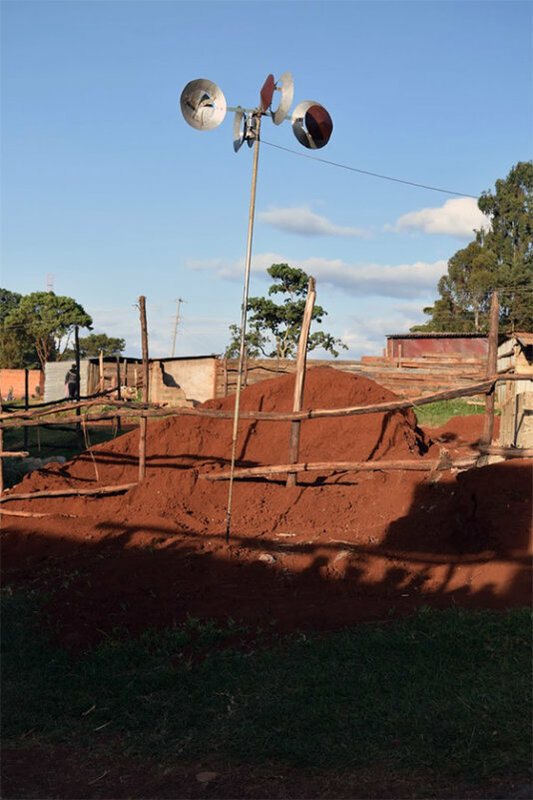 Soon he found himself in his county headquarters of Iten as a business owner wielding his legacy far from the humble beginnings of his rural birthplace. Kiplimo Chebotibin taught himself, through trial and error, how to make “jiko’s” (cookers) and soon he was fascinated on how to improve the jiko further. He developed the steamed propelled jiko that guarantees an hour worth of cooking time with just one litre of water and two pieces of firewood. 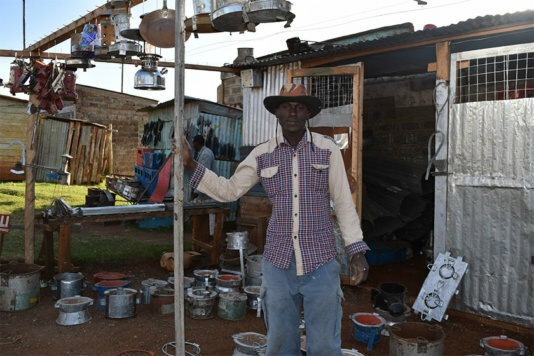 His invention: helping to reduce carbon footprints in areas, where over 80 percent of Kenya’s rural and urban energy is derived from tree by-products such as firewood and charcoal. This journey has now become his daily bread source. Earning over two hundred and fifty euros per month, he is defying the odds as majority of Kenyans live below two dollars per day. His story is the classic tale, from rags to riches. He has attended various workshops to improve on his trade and he has just completed a government business management scholarship that is training artisans from the informal sector. 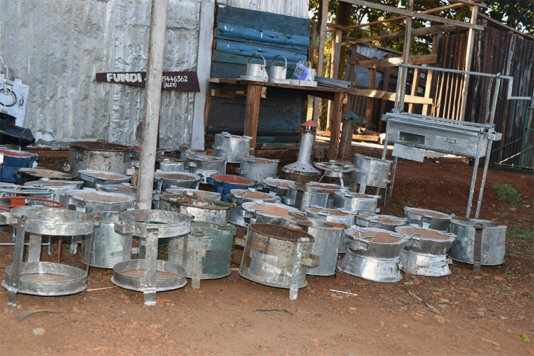 As Kiplimo Chebotibin is hoping that his business continues to grow, there is still more on his wish list than becoming a major distributor of eco-friendly jiko’s, not only in Elgeyo-marakwet but also across Kenya. His journey by far has been a door leading him to the fulfillment of his life long dream. A dream he has never let go: to one-day fly the skies. Thus since he cannot afford to buy a helicopter for himself, he has chosen to build one for himself and ensure his dreams come to pass. Chebotibin is indeed a pilot at heart, a desire that he is eager to share with all who meet him. He has neither aerodynamic skills nor knowledge but he is using his imagination and the little physic’s learnt along the way to guide him on his quest. He has sketched and wielded a draft model that lies outside his shops front. To him as he says, “it is a daily reminder of the task that lies ahead”. Fitted to scale, no paint and incomplete, the model gets one excited about what the human mind can achieve. It is an aide-mémoire, that Lupita Ny’ong’o was right when she stated, “dreams are valid”. He began his project slightly over a year ago and he is hoping to complete it soon. However he is in need of help in aerodynamics and capital to aid his progression. Though not a hindrance to this man of passion the significance of the two contributions are immeasurable. For starters, skills in aeronautical engineering will enable him understand aerodynamics thus educating him on whether his concept is workable. This too, will assist on the sculpture work done. Will it be suitable in correlation to travelling in regards to the helicopter facing resistance, as it’s airborne? Capital on the other hand is a basic necessity. 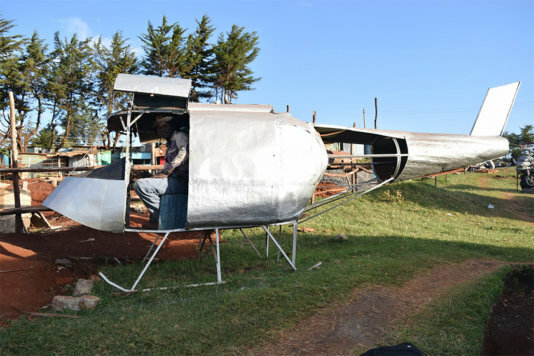 Chebotibin has to incur a cost of over two hundred and fifty thousand Kenya Shillings to see his owning a helicopter a reality. This money is essential as it will be used in the purchase of hardware and according to Chebotibin the engine is a top priority for him. As for the body and all its metal hardware’s, he is as sure footed as a mountain goat that there isn’t any detail too complex for him to wield to shape. These two are the main factors hindering Chebotibin’s quest towards attaining his dream of flying the skies. Though looking unattainable now due to lack of guidance during his quest’s journey, his willing heart is unwavering. Though for now Chebotibin is looking for a business partner to help him increase the market base for his products and increase his profits, one thing remains a fact. His helicopter will one day dominate the sky. He puts it best. “I shall own a helicopter assembly plant and share my dream with all”.